Hello all! I am doing a math project where we must create a sine and cosine graph and turn them in to a picture. Of course as sin and cos are wavy and noodle like i must show my praise by using his image. I looked on this site for images as i can not draw very well and came across this image http://www.venganza.org/wp-content/uploads/2008/01/fsm_vincent_1440.png Was wondering if theirs any copy right or what not? 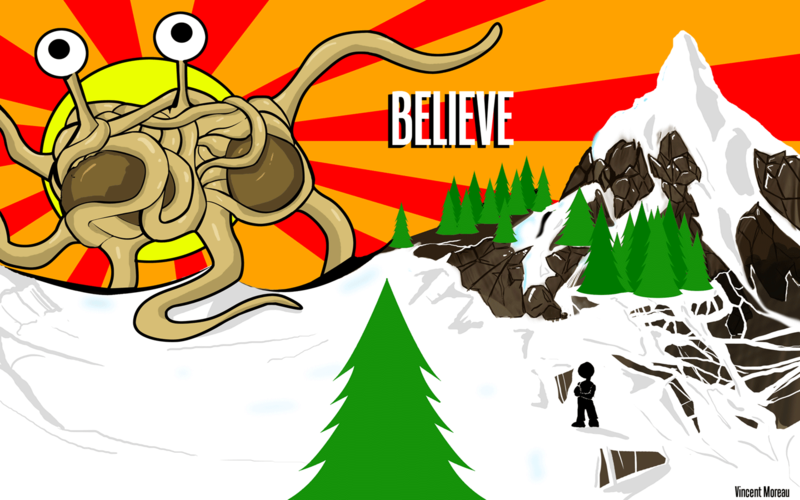 I'm just using the FSM and not the background. Will post the picture when I'm done with it. I'd imagine as long as you aren't selling the results no-one will mind about using that image.